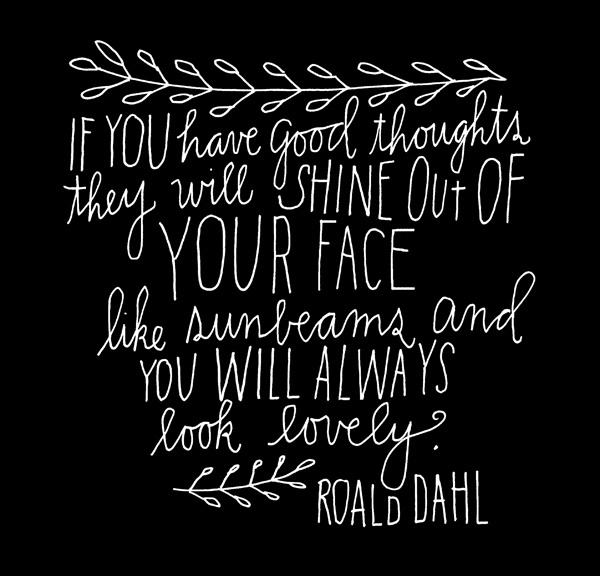 Good thoughts shining (hand-lettered image; poem). I love Roald Dahl and people’s faces. it arcs a loop to ground, it touches earth. Previous Things that are small in Vermont (piglets! piglets are small!). Next “I swept my trampoline” (poem for a new home) (mine).